Get into the bike, or any sport/hobby, and you’ll eventually meet someone who’s spent a lifetime focused on it. Maybe obsessed or just found one thing they’re really good at it and became an expert. Yesterday Bob showed my his cork brakepad jig. He uses it to hand cut brake pads from wine corks. Those are for use on wood rims. Not carbon. 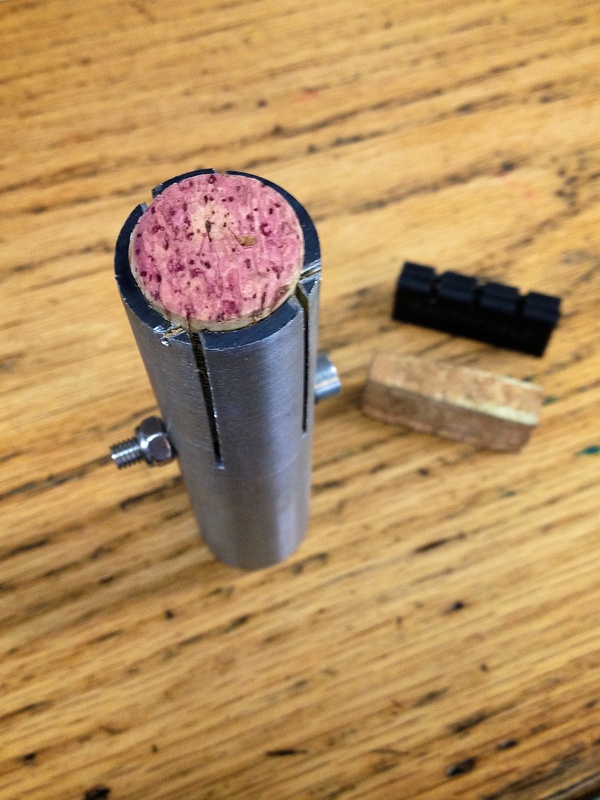 The cork cutting jig is shown with a cut pad and Campy rubber pad for reference and the pads he cut. 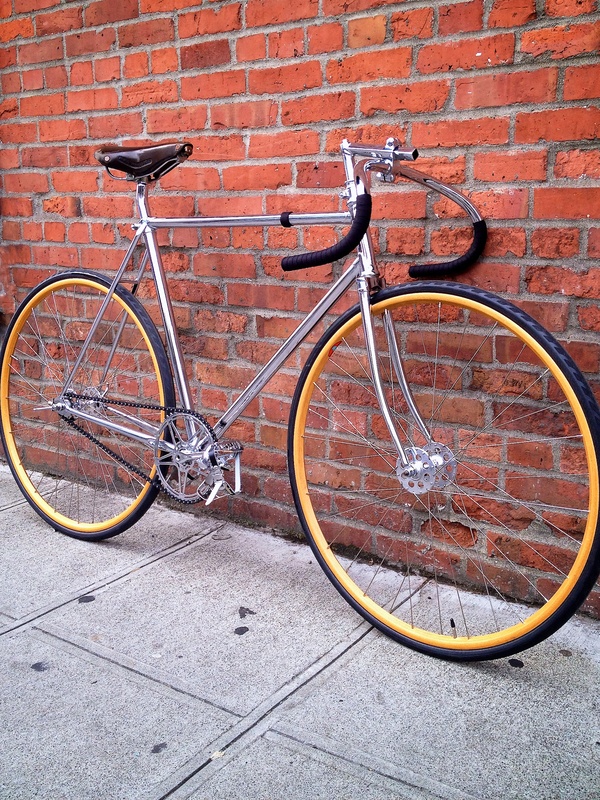 Bob also showed me this recently restored chrome track bike from the 30s. Worth noting too, that Bob’s got a bike shop where he made this jig, restored the track bike, and that shop houses Bill Davisdon, a master builder who will make any kind of bike for you. Bill and Mark collaborated on the the D-Plus, my new Cross bike. 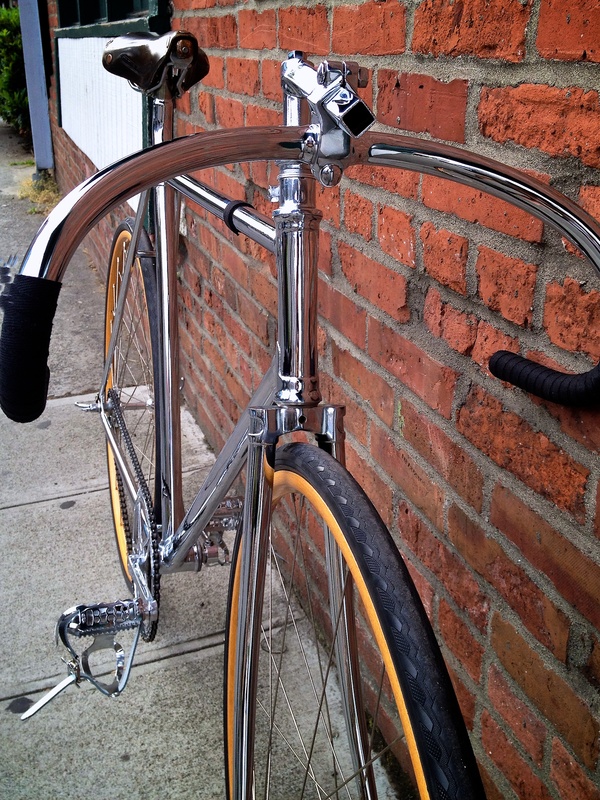 Read more about the cork pads on and chrome track bike on Flickr.